Earlier, to market one's products and services to a large number of prospects, was very difficult, time consuming and expensive. Nowadays it has become very easy to do mass promotions, to attract the customers in various ways. One among them is Bulk mailing, Which is readily available and easy to access. The customers are informed about the products directly without personally interacting With them. Bulk Mailing has a good reach and is cost effective. 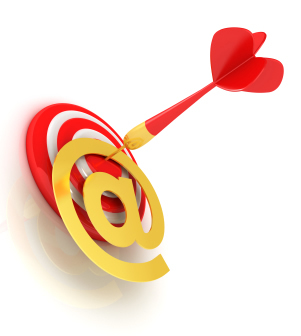 With UnlimitedGB, it is just a click away to reach your targeted audience. UnlimitedGB's Bulk Mailing Solution guarantees 100% email delivery to the inbox of the recepient. Technical issues are taken care at our end and you can enjoy uninterrupted service. We work 24/7 to help you out in any kind of Technical Issues that you might undergo. You can send a minimum of 5000 mails per day, which can be increased upto 3 Million messages per month based on your requirement. All you need is just a computer connected to the internet to send bulk emails to promote your business and earn a huge profit out of it. You can use your own mailing software or you can use UnlimitedGB's mailing software which is user friendly. Kindly select any one of our plans listed below as per your requirements. → Exceptional value! Lowest cost in the industry! → Just enter the information into your Bulk Mailer settings and start sending emails in under 2 minutes. We do the rest! → Guaranteed service - we constantly monitor blacklists to ensure that email deliverability rates do not get affected. → We provide high speed bulk emailing software free of charge! → Send your messages in both Text and HTML format. → Your ISP won't see that you are sending out bulk email! → All email broadcasting is routed through our bulk email servers and bandwidth. → Gets email delivered directly from your PC into your recipient's mailbox. → Send your messages without using your ISP's e-mail server resources! → Reliability and 100% Bulk Friendly Guaranteed! We also avail our customers the facility of migrating to a higher package at any point of time. All emails should be sent in accordance with the US CAN-SPAM Law which is in effect from 01/01/2004. Our ultimate goal is to increase the reliability of mail delivery, and prevent our servers from being blacklisted by other mail providers. If any customer is found violating these rules their account will be terminated immediately without any prior notice. Only send emails to your opt-in email list. We prohibit customers from using the UnlimitedGB's SMTP Server platform for spamming or sending unsolicited bulk e-mail messages, sending unsolicited advertising or similar conduct is prohibited under our Terms of Service. We do not allow Adult, SCAM, Phishing sites; Send Legal stuff only.